A Nashville-based artist who blends pop and electronic elements with earnest country songwriting, Tyler Filmore — who performs as Filmore — rose to success in early 2018 with his breakthrough single “Slower,” a summer jam that earned comparisons to the country-pop of Sam Hunt. Born and raised in Wildwood, Missouri, Filmore was active in choirs and local groups before heading to the University of Missouri where he formed a band — also called Filmore — that became popular on the regional college circuit; they recorded a pair of albums. 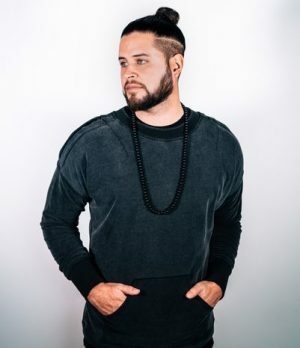 He eventually migrated to Nashville around 2011 and made a go of it as a solo artist, writing songs from a country platform that added strong pop and electronic elements into the mix. Working under his surname, Filmore released a three-song EP in 2015, landing a hit with the track “Headlights,” which appeared on his 2016 album Proof. With his profile raised, he returned in 2017 with the smooth country-pop track “You Know You Wanna,” followed in early 2018 by the breakout single “Slower,” a banjo-led summer anthem with plenty of mainstream pop appeal that quickly notched millions of streams. His follow-up single, “Love That About You,” took a similar approach and also fared well commercially.